Late last night, just before going to bed, I got a craving for sour cream. I LOVE sour cream, with salt added, and some plain bread on the side. It's a Hungarian thing - I remember tubs of sour cream being served as a school lunch with a slab of white bread on the side. As I stood in the kitchen with my snack of salted sour cream and a piece of biscuit, the thought suddenly entered my mind that maybe such an odd craving at such an odd time meant I could be pregnant. As in, I had totally forgotten that I was already 30 weeks pregnant, and was standing there trying to figure out if I could be "late" and whether or not I had any pregnancy tests in the house. All these thoughts only took me a split second, and then it dawned on me that, um, yes, I was already very pregnant. Almost as fun as when I actually forget how old I am, and have to sit and think for a minute. For those who have asked, I wanted to share the most common bread recipes our family uses. In general, I make all our own bread products, except for corn tortillas. I do like to keep some store-bought flour tortillas in the freezer for a quick lunch when I'm pinched for time, and from time to time I buy ready hamburger/hot dog buns if I don't have any home-made ones in stock in my freezer. But other than that, I make all of our bread products. As a general rule, I use 100% whole grains for our breads. To make up for the denser texture, I sometimes add about 1/4 cup of vital wheat gluten per batch of bread dough, which will help it to rise and produce a fluffy loaf. I also freshly mill all of the flours I use. Fresh grains such as wheat are naturally much sweeter than their (stale) flours. Using freshly ground flour majorly offsets the "whole-grain" taste that some people do not like. As far as baking pans go, my favorite are stainless steel pans from Norpro. If you are baking more than one loaf of bread at the same time, it helps to have the identical pans for all loaves so they will bake uniformly and be done at the same time. I can highly recommend these pans. They are very heavy-duty and sturdy, and easy to clean. They do need to be greased well before adding the dough, but they work much better than other stainless steel pans I have tried in the past. The extra effort is well worth the benefits over non-stick coated pans. For mixing the dough, I use a large-capacity KitchenAid mixer. If you have a smaller family, making smaller batches and using a bread machine to mix your dough is a good option, even if you bake the bread in an actual oven. Sunflower seed sandwich bread - our standard, everyday sandwich bread. I use hard red wheat for this recipe, and I have adjusted the original recipe to make 5 loaves at a time, which is how much I can fit in my oven at one time. When the loaves are done cooling, I slice all of them, and freeze whatever we will not be using the same day I baked it. That lasts us about one week. 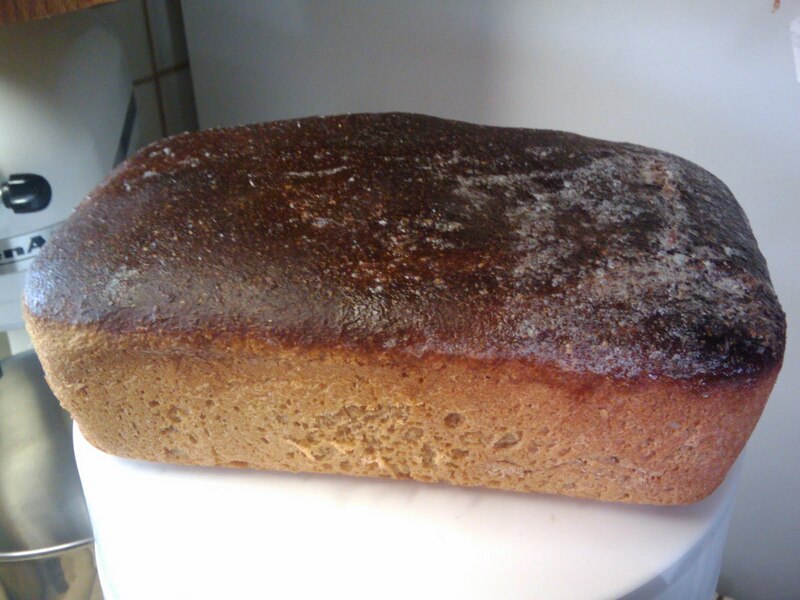 This bread has a nice crumb, holds up well, and tastes wonderful. It does start tasting stale even a day or two later, which is why I freeze mine. plain sandwich bread - another nice sandwich bread, but my second choice since I discovered the above recipe. To add some bite, sometimes I sprout a 1/4 cup of wheat kernels and add those to the dough during mixing. crusty dough for pizza, bread sticks, baguettes, etc. The best flour to use for these is hard white wheat, if you have access to it. hamburger/hot dog buns - Very easy to make, and so yummy! I use 100% whole, hard red wheat. tortillas - Very tasty and easy! The recipe does call for too much water, though, so I always find I have to add extra flour to get the right consistency (similar to pie crust dough). I use 100% whole wheat, and they come out very yummy. I roll my tortillas out with a rolling pin, because it seems that a tortilla press would not work well with this recipe. I also do not add any oil or other fat to my frying pan. Rather, I set it on medium high heat for about five minutes, and then add one tortilla at a time to the hot pan for about 30-60 seconds per side. It's important to keep the tortillas covered once they are cooked to keep them from drying out. These freeze and thaw out again very nicely, too. biscuits - For these, I use freshly milled soft wheat. I also grate the butter using the larger grater of my Kitchenaid slicer/shredder attachment, which makes this a snap. It helps if you freeze the butter first, but works almost just as well with butter from the fridge, too. When I remember, I always keep a box of butter in the freezer for grating into biscuits, pie crusts, etc. After trying these, you may just not want to go back to store-bought ever again! * The original recipe calls for a proportion of 1/3 whole wheat flour, and 2/3 white flour. In the larger batch, that would be 1 cup WW and 2 cups white flour; in the smaller batch, 2/3 cup WW and 1 1/3 cups white flour. The original recipe did NOT include the vital wheat gluten, which I added just to make up for the fact that I use all whole wheat. Please adjust according to your family's taste preference, omitting the gluten if you use mostly white flour. For a healthier version, you could use more and more WW and less and less white flour over time. ** The shortening I suggest is really just 100% palm oil, which is naturally solid yet soft at room temperature, much like hydrogenated shortening. It is available at most health food stores. Whole Foods carries it. If you cannot get a 100% natural shortening like that, please use melted butter or oil instead. 1. If using a bread machine: Place all ingredients in the bread pan of your bread machine, select "dough" setting, push start. If using a stand-mixer such as KitchenAid, place water, egg, shortening, salt and sugar in bowl, stir to mix. Add yeast, stir again. Add flour and gluten; turn machine on and knead with the kneading hook for about 5 minutes, until the dough is soft, pliable, and pulls away from the bowl in a nice ball, without being tough and dry. When in doubt, you'd rather have your dough too wet than too dry. If kneading by hand, mix ingredients in same order as you would using a stand mixer, except knead by hand for about 5 minutes. 2. Cover dough and allow to rest until doubled in bulk. This can take 45 minutes to 2 hours, depending on where you live (greatly affected by humidity and temperature). If using your bread machine, this rising will automatically be included in the "dough" cycle. 3. Turn dough out onto a large floured cutting board or other work surface. With a sharp knife, divide dough into pieces, depending on whether you made the larger or smaller batch, and whether you are making hamburger or hot dog buns. For example, if you made the larger batch of dough and want to make hot dog buns, divide your dough into 12 equal portions, etc. 4. Grease a large baking sheet. For hamburger buns, roll pieces of dough into balls and flatten. For hot dog buns, shape into 6 inch long rolls. Do not make your hot dog rolls too thick, as the dough will almost double during baking, making your hot dog buns too wide if you do not start off with a relatively thin roll (not much thicker than your thumb). 5. Cover buns and let rise in warm oven until almost doubled, about 10 to 15 minutes. To warm your oven slightly, set it to the lowest temperature setting for just a minute, then turn oven off again. 6. Preheat oven to 400 degrees F. Bake buns 12 to 15 minutes until golden brown. Remove from oven, immediately rub the top and sides of each bun liberally with a stick of butter, and move buns to cool on cooling racks. 7. 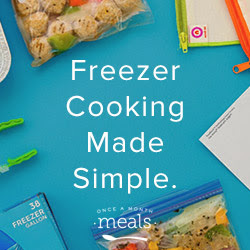 Enjoy the same day, or store in the freezer for 3 to 4 weeks. Note: I usually double the larger batch, giving me a total of 16 hamburger buns, or 24 hot dog buns, or any combination of the two. If you have a 5qt or larger capacity KitchenAid, it will be able to handle that much dough. This makes it easy to store buns in the freezer and have them on hand when needed. Not talking about Becky here. Solomon is turning 9 today - unbelievable!!! I am sure I am echoing every mother's feelings throughout history when I say that it seems he was just born yesterday. I so clearly remember him being placed in my arms for the first time, and all the love for him that I just felt flooding over me instantly. So cliche, and so true. Now he is half-way to being 18! My only consolation today is that at least, he is still in the single digits. As I am typing this just shortly after midnight (leave it to me to finish the last of his gifts just in time, then having to wrap everything, plus decorating the front room with streamers), he has not yet opened any of his gifts. I'll post pictures of the birthday boy later, and of what I made for him. These buns are the best. I can never go back to store-bought again! I'll be sharing a bunch of bread recipes later this week, including the one for these hamburger buns. Traditionally, the birthday child gets to pick the meals on his birthday. Solomon chose a breakfast of bacon, eggs, biscuits, and buttermilk pancakes. Hm, maybe I should not even go to bed at all tonight and just get started on all that now, so it will be ready for breakfast in time?!? Thankfully, that should keep the kids happily filled up until the early afternoon, at which point we will have a late lunch that will keep them stuffed until dinner, so I can get by with only cooking two big meals. The requested lunch/dinner was barbecued pork ribs, oven-fried potato wedges, and corn. Ugh, I feel stuffed just thinking about all of this! I am to a point in my pregnancy where the baby is seriously crowding my stomach, so I never feel hungry and can only stand tiny portions. We are not doing a big party this year. Instead, the kids get the day off from their school work, and we are taking all five of them to BounceU this evening as a special birthday outing. Groupon recently had a great offer for 5 admissions for $19, less than half the regular rate. On Saturday, my husband and another man in our church are taking Solomon kayaking on the Salt River. He is VERY excited about that, as he will be in his own kayak. I am understandably nervous about the whole thing, but I don't want to dampen his excitement. I'll post more pictures of the birthday boy later. Another Q & A coming soon! If you have any questions you would like me to include in my next Q&A, please leave a comment below. If you have asked a question in the past that is still unanswered, it was not intentional; please feel free to leave your question again. Disclaimer: These are NOT our kids. We do not allow them in the dog's kennel, although they have been known to want to climb in there and play in it. Taking family photos becomes exponentially harder the more people you include. Your baby will never, ever need a diaper change at the store or library, EXCEPT the time that you just changed him/her in the car right before going in, and then left the diaper bag in the vehicle. For every person you are taking with you, add 10 minutes to the time it will take you to get out the door. This is a conservative estimate. It may take a lot longer. If you are out in public and are praised by a random stranger for how beautiful, well-behaved, etc. your children are, don't start feeling all smug and happy. It means that with 100% certainty, one or more of your children will mortally embarrass you before you leave the place. This rule never fails. The day is not over until at least one dish has been shattered. Someone will talk to you the moment you close the bathroom door behind yourself. It simply cannot be prevented. Instead, turn on the fan to drown it out. If you need ANY parenting advice, ask people with no kids. Better yet, one of those very eager couples expecting their first child (not all of them are like this). 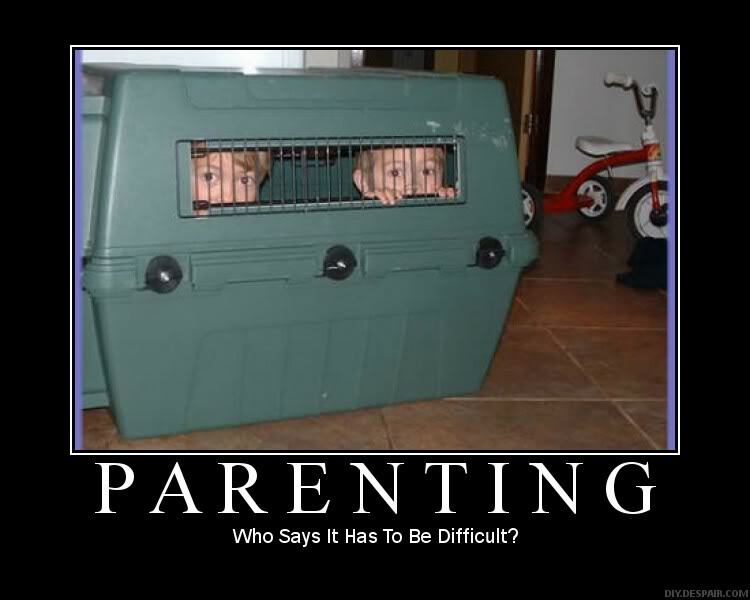 They are true experts on anything remotely relating to parenting! As a mother, you will feel twinges of guilt from the minute you find out you are pregnant until the day you die about a gazillion absurd and ridiculous matters. These feelings of guilt like to travel with their best friend, worry. Dads feel very little of either, and don't make good sounding boards for these issues. If you like (or need) it, someone will lose or break it. Shoes have a way of walking out the door and disappearing forever of their own accord. Your kids may each own 30 shoes and not be able to make a single pair. Toys, on the other hand, walk in out of nowhere and make themselves at home in every nook and cranny without your asking or consent. If your kids are playing very quietly for more than 5 minutes, they are getting into something they shouldn't be. Better go check. Though NEVER seen in person, the most unruly child in every family is Notme. "Who made this mess?" - "Not me! "; "Who ate all the candy?" - "Not me! "; "Who dumped all the toys everywhere?" - "Not me! "; "Who walked off with my keys again?" - "Not me!" When in doubt, blame Notme. And the law that brings physics and parenting together: The apple doesn't fall far from the tree. Thankfully, there are also innumerable guaranteed benefits to having children. They really are a blessing, even if some days it may seem like they are "a blessing, that there shall not be room enough to receive it." A little over a week ago, I switched to using cloth diapers 100% of the time after all the encouragement and tips regarding their use, plus the fact that I had this big stash of cloth diapers I had been given for free, ready and sitting around, while almost being out of disposables. As I had before, I did a ton of reading online to figure out how to finally make cloth work. I have tried with every single baby, and have never stuck with it. Part of the problem, I think, is that there is too much information out there, particularly regarding the many choices in cloth diapers. Having had that choice made for me by the simple fact that I had been given the diapers, rather than having to pick them out myself, made that a lot easier. Here in Phoenix, we have a wonderful store that specializes in everything to do with cloth diapers, Zoolikins (formerly Wildflower Diapers). Everything is also available through their website for mail-order service, but I love that fact that I can walk in and actually see and feel what I'm getting. So I headed down there with all the diapers in Becky's size packed neatly in a box, hoping that the lady in the store would be able to help me figure out what supplies I still needed to make a complete system. My most important purchase was a diaper sprayer. It certainly makes those dirty diaper messes a lot more tolerable to deal with (though still majorly unpleasant, as is inevitable due to the nature of the job). In addition, I think I will get a box of diaper liners next time I am at the store, just for those times that I am pretty sure Becky will need it. But even just the sprayer is great. I can see how it can be used for lots of other things as well, such as rinsing a potty. Diaper pail liner: this goes right in the washing machine with the dirty diapers on wash day. Only bought one, but hoping to add a second soon to be able to use while the other is in the wash. I would also like to get the reusable wet bags for my diaper bag in the future, but for now I'm just using a large ziploc storage bag. Diaper covers: as it turned out, the only diaper cover I had in Becky's size was the Aristocrats wool soaker. I ended up buying 4 Bummis Whisper Wrap diaper covers to use during the day, and I use the wool soaker at night. The Bummis go right in the wash with the diapers and are easy to care for, but still, I much prefer the Aristocrats wool soaker. I would really like to switch to using only their wool soakers exclusively, but they are so expensive that I would really have to stretch out adding one here and there every few months while continuing to use the Bummis. I do know how to knit, and I know that I could make my own wool soakers, but I just LOVE this particular brand and know that mine would never come out as good. Snappi diaper fasteners: these are to go with my dozen prefolds that have been sewn into fitted diapers, but don't have their own fasteners. Very easy to use. For wipes, I bought 3 dozen cotton terry washcloths at Wal-Mart, and a wonderfully smelling wipes solution. In the future, I plan on just making my own solution from scratch, but I wanted to have something convenient like this on hand for those days that I am pinched for time. Laundering supplies: I bought a small bottle of detergent specifically made for washing the wool soakers with. I also bought a couple of small samples of the natural detergent that the lady at the store was recommending as being effective with our very hard water. So far, I have never yet been able to find a natural laundry soap that really worked, but this seems to be getting the job done. I will order a box of it through my co-op next month, which will be much cheaper. Even though I was only buying these necessary "add-ons", my total cost was still pretty high. I think the initially large investment into cloth diapers is what makes is impossible or undesirable for many to make the switch. As far as being more work, I do find that I have change Becky's diaper more often, but each diaper change itself really isn't taking any longer. Then there's the extra laundry. I find myself doing a load every other night, but it's not a full load (maybe like 2/3). Then I dry them first thing in the morning, and the kids help fold and stash the diapers back in the bins where we keep them. Not a big deal, just a question of getting into a different routine. I make fresh wipes every couple of days also, which again takes very little time. In all, not really more work than having to walk to the other end of Wal-Mart or Sam's Club with five kids in tow (after driving there and getting stuck in traffic) to buy disposables or wipes for the umpteenth time. Becky certainly seems to prefer the cloth diapers. They do feel very nice and cozy. I mean, I am sure that disposable clothes would also be convenient for many reasons, but I can't imagine them being very comfortable. It must be a similar thing with the diapers. Am I a fan of cloth diapers? Do I love them? No. But I'm just not a fan of diapering in general, disposable or cloth. Do I prefer the cloth diapers? I do, because at least I do feel better about this being a healthier choice for my precious baby, as well as saving money in the long run. It's a sad time we live in when the President of our country cannot or will not quote the Declaration of Independence correctly. Apparently, some sort of bad cold/flu has been going around in our area. I didn't realize how many people had caught it until our kids came down with it on Saturday. Thankfully, it was not too bad, basically four of the five kids had a runny nose and some coughing for a couple of days, but are over it now. I made them cough syrup from honey and onion, which always works very quickly and reliably. None of the kids had been sick in I think almost 2 years, so I really cannot complain. Especially because nobody threw up!!! Becky seemed to have been bothered by an ear ache night before last, so yesterday I put garlic mullein oil drops in her ears, something she thought was quite amusing. She slept much better last night, and only woke up a couple of times to drink some water. Today, she kept asking me to put more drops in her ears; it was very funny and cute. Becky has become very verbal recently. She talks a lot on her own, and also loves to repeat everything her older siblings say. All night tonight, she kept going around saying: "It's going to rain, Mommy!" (It never did, but it looked like it would.) She loves teasing me, it is quite hilarious. For instance, if I tell her I love her, she will get a mischievous grin and tell me "I love Daddy!". She is at an age that I absolutely love, I wish she could stay like this forever. Homeschooling is going well. We seem to have struck a good balance this year between making the kids work enough, but also giving them plenty of free time for unstructured play, chores, and last-minute interruptions to our schedule. Right now, we are learning about countries in Africa, and making meals and crafts to go with that theme. When the kids are not doing their school work or chores, they love playing outside. It's still warm enough for them to go swimming in the pool, and they are also riding their bikes every day. John now rides without training wheels, and Miriam just learned how to ride with them. It is funny, because every morning when she picks out her clothes, she makes sure it's something that will not get in the way of her riding her bike (i.e. no dresses with frills at the bottom or long ties that could get tangled in the tires or chain). Both her and John have skinned their knees many times in the last couple of weeks, but that's just part of the process. Apparently, this is a record summer in Arizona in that it is hotter later in the year than is normal. What a time to be pregnant! Thankfully, it gets dark shortly after 7 pm now, so the kids think a bedtime of 8 or 8:30 means they stayed up late. Why they never sleep in past 6:30, even on weekends, is beyond me. When I was a child, I LOVED sleeping in. I guess it goes back to their relatively "early" bedtime. I switched Becky to cloth diapers 100% of the time about one week ago, which has been an interesting experience. Not too bad, but I don't think I'll ever be a fan of diapering in any form, cloth or disposable. She certainly seems to enjoy them much more. I am planning a separate post on this subject very soon. Not much else is going on around here. My husband has been in town much more as he is transitioning to pastoring full-time, but during the daytime he is still gone most of the time working. He spends about 5 hours a day soul-winning, and about as many hours a day on the various other tasks that go with pastoring. Many days, he leaves after breakfast and comes homes just as I tuck the kids into bed. It will be interesting to see how things work out. Our church is having its FIFTH annual picnic this Saturday. It's hard to believe we've been around so "long" already! Then Solomon is turning 9 next week - again, where has time gone? I guess I feel like I never get older because I always have a little baby, but then I look at my bigger kids and how they are growing up so fast, and then I remember that I, too, am getting older. Someone recently asked me how old I was, and without thinking I almost said: "29". I caught myself in time, and thought "That's not right, I'm 30." Another second later, and it dawned on me that I ***thought*** I had turned 31 already, but I wasn't sure if I had or if I was going to on my next birthday. Pretty sad, huh??!? I still feel like I am 21 in my head, because that's how old I was when I got married and my life has been pretty much the same ever since. Sweet little Becky is turning 2 in October, and I have busily been working on making birthday gifts for her after the kids go to bed at night. I still have a couple of things I have to finish making for Solomon, but it's hard to work on it without him noticing. Anyway, not much new or exciting to report, just the everyday circus of having a larger than average family. Fun and exhausting, and never boring! Miriam made a baked snack out of dough that she shaped to look like the letters and numbers she had been learning about so far this year. She also used a flower cookie cutter on some of the dough. I told Becky to go wash her hands if she wanted to help. Instead, she came back with soap rubbed all over her head. It was right before bath time, so I didn't mind, but it made her hair look pretty crazy. That's my big boy who just won't stop growing! The boys reading together during silent time. Look at those dirty feet!!! Scorpions and poisonous spiders notwithstanding, these kids will not be convinced to wear shoes EVER. Ask me about the time last month that I found a black widow spider and a brown recluse (VERY poisonous) a few inches from each other sitting behind a pile of stuff on my front porch that I was giving away on freecycle, right under Solomon's bedroom window. This stuff would keep me up at night, if it weren't for the kids making me too tired to be able to lay awake worrying. Yep, that's a picture of me, taken this morning. I feel as pregnant as I look, especially because after a week of cooler weather, we are now back to temperatures in the 100-115 degree range every day. Other than feeling huge and hot, the pregnancy is going very well. No concerns or complaints whatsoever. The baby is very active, but in a mellow and gentle sort of way. Earlier in this pregnancy, I was pretty sure this felt more like a boy, but now I'm not so convinced any more, and started leaning more toward girl. It will just have to be a surprise. The other kids all want another girl to make the score 3 - 3. This was very quick and easy to make. Everyone loved it and got seconds (we doubled the recipe, which provided everyone with very generous portions). I served it with whipped cream on top. In a medium-sized stainless steel bowl set over a saucepan of simmering water, melt the chocolate and butter. Remove from heat and set aside to cool for a few minutes. Then whisk in the two egg yolks. Refrigerate while you whip the egg whites and whipping cream. In the bowl of your electric mixer (or with a hand mixer), whip the two egg whites with the cream of tartar until foamy. Gradually add two tablespoons of sugar and continue to beat until stiff peaks form, yet the whites are still glossy and not dry. Set aside. In another bowl, whip the heavy cream, remaining one tablespoon sugar, and vanilla extract until soft peaks form. Remove the chocolate mixture from the refrigerator, and stir a couple of spoonfuls of the beaten egg whites into the chocolate mixture to lighten it, and then fold the remaining whites into the chocolate mixture, gently but thoroughly. Fold in the whipped cream. Spoon the chocolate mousse into six individual serving dishes or glasses. Cover and refrigerate for a couple of hours. Can serve with additional whipped cream, fresh raspberries and/or shaved chocolate. John decided to give himself a "mousse-tache"
Becky took her bib off and made a complete mess of the chef's outfit she was wearing today. She did not like having to get her hands and face washed, and having to change into other clothes. A couple of weeks ago, a lady in town was giving away two large boxes full of very gently used cloth diapers for free on freecycle. I was the lucky person who got them all!! With the new baby, I was already planning on cloth diapering 100% at least while s/he was still only having breastmilk poops, so for about the first 6 to 8 months. 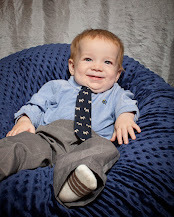 But the initial expense of having to invest in more diapers seemed daunting. Getting them for free was a HUGE blessing. Any tips/links in this area from veteran moms, as well as how to make cloth diapering work in general, would be greatly appreciated! f... or used as my Facebook status update if I still used Facebook. I don't like going to the dentist. As much as I dislike mopping floors late at night, I love getting up in the morning and finding them clean and shiny (until the kids eat breakfast, anyway). Germknödel are THE BEST. Nobody should have to go through life without ever trying one. I never knew how many felt food tutorials there are on the web. Just admiring them all could take me the rest of my life. The only thing standing between that and me is the pesky fact that my family expects to eat real food three times a day. How boring. Silent/nap time is my ticket to sanity. And bed time. Keeping the inner tubes in four kids' bikes in working order is a full-time job. It has taken me two full afternoons to get them all fixed up again now that the weather is cooling down enough to ride a bike. This will be the last homeschooling post for a while, I promise. For those of you who were wondering what materials we use, you can look at our weekly chart below. If you click on it, it pulls the screen shot up in large. If you click on that again, it zooms in even more. Solomon is green, Isaac orange, John yellow, and Miriam pink. The white areas are those covered by all children in those columns (Miriam is included in the social studies and activities, too, but has additional subjects she covers that go along with her curriculum). Basically, the oldest three do math and English (which includes reading, penmanship, spelling, and grammar) at their grade levels. For math, they all use Harcourt Math. For grammar and spelling, Isaac and John use LFBC, and misc. materials I already had on hand for penmanship and reading. I am using the K4 curriculum from LFBC for Miriam, although I did not buy the student kit for her. I still have the teacher handbook from when I used it with Solomon years ago, and we have plenty of pre-K workbooks around the house that offer the same type of worksheets that originally came with the curriculum. With her, I only work at the table for about 20 minutes per day, and then she loses all interest. I have found that giving her lots of hands-on activities is a lot more appealing, so we do a lot of stuff like that here and there throughout the day (i.e. having her count ingredients as she sits at the counter watching me cook, etc.). The two oldest also read the Bible on their own. Solomon is currently in the Old Testament, which he will be done with at the end of the year, completing his first time reading through the Bible completely on his own. Family bible time or listening to it on CDs does not count toward that. Isaac is reading a daily portion from the New Testament, as well as Psalms and Proverbs twice during that same year. I still have to sit and listen to him read it out loud to help him if he gets stuck on a name or something. To help the three boys work more independently, I put a printout of the above weekly plan in the front of each of their binders. I also made them each a printout of the general guidelines of how much they are supposed to do in each subject every day. That way, they can follow the below daily charts each day, checking them off as they go with a dry-erase marker, but also compare it to the weekly chart at the end of each week to make sure that they really did get all the pages done that they were supposed to. This system worked pretty well with them for this being our first week. My husband teaches the kids from 8 to 8:30 every day (8 to 9 when he takes them to the park by our house for P.E. twice a week). In addition to the P.E., he is responsible for teaching them their foreign languages, and music. Solomon also has weekly piano lessons with a very sweet lady who teaches him one-on-one. In the afternoons, when the girls are napping after lunch, the boys and I work together on social studies (history, geography, science, etc.). This is everyone's favorite part of school work. They also read the books relating to the week's subject silently on their own while I take a nap or do chores around the house. Activities, like making a related craft or cooking a meal from the country we are learning about, are done after the girls wake up once or twice a week. You may have read on the above sheets that the boys are supposed to pick a couple of chores to do each morning before starting their school work. As these change every day, and rigid day-by-day schedules for chores have never worked for our family, I made the following list of things that may or may not need to be done on any given day that the boys can do on their own without any help or supervision. It hangs on the side of our fridge, and they are supposed to find one that they feel like doing and that has not yet been done. No, we do not go through the whole list every day! Just those things on there that need doing, or need it the most. Finally, to remind us all of what manners we should use around the house, I made the following list. With seven people living together under one roof all the time, things can become tense if we all pull in different directions, which is a tendency since we all have very different personalities. It is a constant struggle to try to keep everyone harmoniously working toward the same ultimate goal: serving God with our lives. So while we all fail at many of the things on here daily, it's still a nice reminder of what our ideals are. The kids earn checkmarks on a dry-erase chart I keep by this list on the fridge if I observe them making a particular effort to follow these guidelines. For example, if one of the older ones is very kind and patient in helping one of the younger ones without me having to remind them of it, they earn a checkmark. But if I catch them running through the house like a monkey, or if they come tattling, etc. they lose one. For 20 checkmarks they can pick a small favor, such as going along shopping with me by themselves, getting a small treat, or something of the sort. It takes them a good week to earn that many checkmarks. This first week went well. All the kids got their assignments done, and life was as "normal" as it could have been all things considered. The bad news this week was that the motor on our pool filter, as well as the water pump on our dishwasher, broke. Hence, our pool is now turning green, and I have to wash dishes by hand until my husband replaces the dishwasher. He already replaced the pool filter motor, but the one we bought (used on craigslist) turned out to also be broken so we wasted the money on that, as well as three hours of his time. The guy we bought it from, who sells refurbished motors, gave us a different one instead of the broken one he sold us, but my husband has not yet had time to put that in so we don't know if that one works or not. Then yesterday, the home computer was seriously smelling like electrical burn. It was very strong, I could smell it all the way from the office to the kitchen. I checked all the other computer equipment (printer, router, etc.) but the smell was clearly coming from the actual computer tower. I turned it off, and the smell went away. Not sure if it will turn on now or not, but I don't want to try it. I am using my laptop to go online for now. I was wondering if maybe Solomon's hamster, who somehow escaped his closed cage last week in the middle of the night and whom we have not been able to find/trap (humanely and alive) since then, had managed to get inside the computer and start chewing wires, but looking at it I don't think that would have been possible, nor do I think it chewed any of the exposed wires. My guess is that the hamster found a hole somewhere and left the house, as we have seen no trace of him anywhere. He was kept in the office, which is adjacent to the laundry room, so maybe he went out where the dryer vent attaches to the outside? I even sprinkled flour in various rooms at night, with a yummy treat like peanut butter or cheese in the middle of it, to see if it walked over and ate of it, but to no avail. I think if he could get out through a closed cage, he could get out anywhere. There were holes in the roof of the cage to attach plastic tubes for it to crawl through, but there were no tubes attached. How on earth he could climb out of a hole far out of his reach, straight up above his head, is beyond me. I mean, he never had in the past. Anyway, this turned out longer than I had intended it to. No more homeschooling posts for a while! 1. I am NOT creative. True, I do like crafts, so I like to "create". But there is a big difference between coming up with ideas of your own, and just simply knowing where to go to pilfer other people's creative ideas. I only know how to do the latter, and then maybe come up with some creative add-ons on my own. For example, I could never in a million years have come up with the ideas for this, nor would I have had the skills to develop the patterns for these. Looking at this makes me feel like a kindergartner. 2. I am NOT patient. I know, I know. People who know me will laugh at the idea that anyone would think I am. and a whole bunch of other things that I could easily think of. 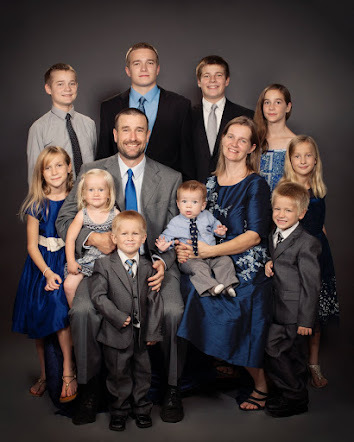 The wonderful thing about allowing God to chose our family size, homeschooling, and other unpopular lifestyle choices is that it forces us as parents to constantly grow and stretch beyond what we are comfortable with. So while I am certainly not a patient person by nature, I do think I have improved in this area simply out of necessity. The only other alternative would have been to be admitted into an insane asylum, although at this time I cannot entirely rule out that I will eventually end up there. I certainly feel like I work in one on most days. Whereas I used to count down to bedtime starting in the early afternoon back when we only had one child, I can now make it to 8 pm (the kids' regular bedtime) with five kids fairly comfortably. Often I think that it must just be that having five kids is easier than having one. Then my husband takes one or two of them to work with him for a couple of hours, and suddenly I realize how much easier life gets the less people there are in the house, even if it's the older ones that are gone and not one of the littles. So I know that at least I have grown somewhat in this area, but I am far, far from where I would like to (or should) be. Birthday season is upon our family in full swing. We will celebrate the birthdays of all five of our children between the end of this month and the middle of February, as well as add another little baby to the mix during that time. Add to that Christmas; and yes, we enjoy giving our children gifts for Christmas as much as we enjoyed getting them as children. That is a whole lot of gift ideas to come up with, and a lot of gifts to give! Finances can quickly become an issue, which is exactly what giving a gift should NOT be about. The other factor is that, being a "large" family, the last thing we need is more toys, or stuff in general for that matter. Because our younger children have lots of older siblings, and because the toys we have bought in the past are all very high-quality and timeless (i.e. wooden train set, Duplos/Legos, etc. ), they can be used again and again for each child without needing to be replaced or becoming outdated. Especially because 90% of the toys are stored out of sight in the shed, they keep their appeal when we do pull them out for a while. But that doesn't mean I'd want to "re-gift" them to child after child, or get rid of them just for the purpose of being able to buy them again as gifts. That's where hand-made gifts come in. While to some they may just seem like a cheap excuse to get out of buying a ready-made gift, they truly are so much more unique and heart-felt than anything at a store could ever be. I mean, anyone can go down to Toys'RUs and buy the newest video game system on a credit card that they are later going to bankrupt. But few parents would have the motivation or skills to make a gift themselves. The time spent making the gift will often be spent thinking about the person we are making it for, which is always a good reminder to pray for them. Truly, a very special way to gift anyone in your life, especially the loved ones in your family. - curtains: I will use the same fabric to make him matching curtains for his bedroom. The ones he has now are plain beige. - coupons for things he enjoys: some ideas are a cooking class with Mom, getting to stay up later than usual, etc. Just a few is plenty, or else this idea quickly becomes a drudgery for me. 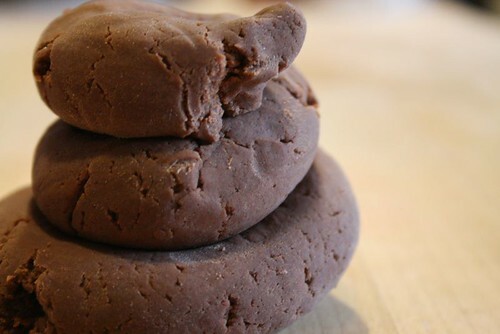 - chocolate playdough: Can't wait to try this! 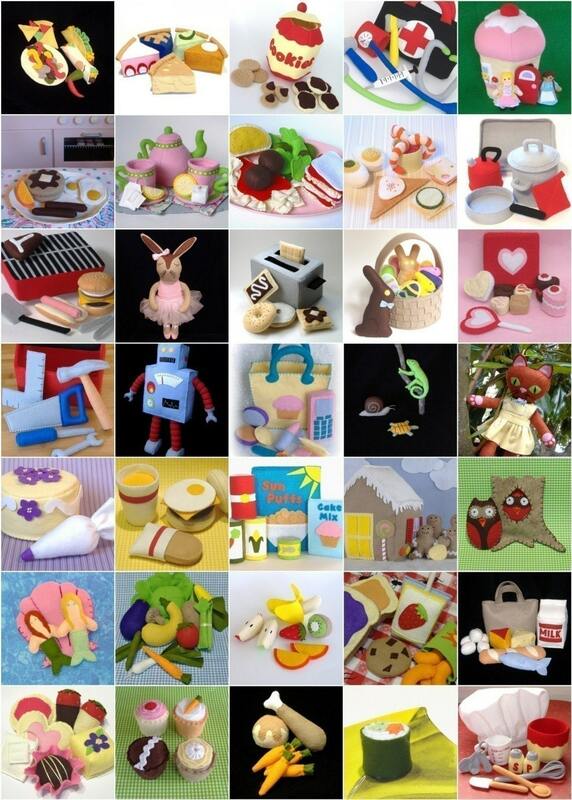 - felt foods: This website has a great roundup of ideas for making felt foods. 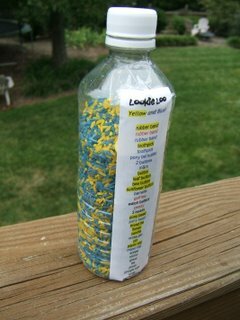 Simplicity and McCall's also offer various patterns for making play food from felt. Many times throughout the year, Jo-Ann's offers patterns from these publishers at $1/pattern, which is a great time to stock up on them. For those with limited sewing skills and/or time, it doesn't have to be as sophisticated. When we were at the Phoenix children's museum, all the food in their pretend-play restaurant was made from felt, though much simpler. For instance, the only thing that was sewed in the pizzeria was the pizza crust, while the toppings were simply small scraps of all sizes and shapes of various interesting fabrics in a plethora of colors. The kids, even the oldest ones, LOVED playing with these. - Felt heart cookies: I am thinking about making these for Miriam's birthday, since she was born on Valentine's day. 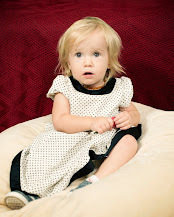 - doll clothes: These can be more trouble to make than to simply pass down outgrown newborn clothes. A special appeal, however, could be to sew clothes for your daughter and her doll from matching fabric. - matching outfits: Miriam and Becky love dressing in matching outfits. Skirts are very quick and easy to make. - costumes: A perennial favorite with our children. Again, buying patterns for $1 each when they are on sale will make this even more inexpensive. - art/craft kits: Finding projects on sites like Family Fun, little kits that contain all the necessary instructions and supplies can quickly be assembled. If you have multiple children, you could make similar but personalized kits by using their favorite colors and/or themes. Similar kits could be made for gardening or science projects. - Lookie Loos: I could totally see our boys loving these. We saw one at a specialty toy store once (for a mere $30...) that they were fascinated with. I have already dyed a bunch of rice and been collecting little items to put into theirs. 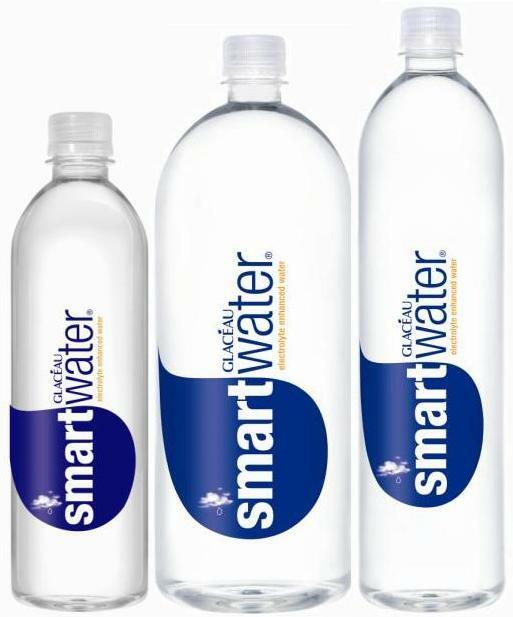 Except, I am going to use a bottle that is perfectly round and has no ridges in it whatsoever, such as a "Smartwater" bottle. - hair bows/clips: I think our daughters would love to get matching "pretties", although I yet have to find a website with simple instructions. 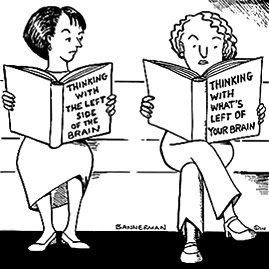 Once you get thinking, it's hard to stop. My biggest constraint is time, and I will have to make a point to work on these projects a little bit each day. Many thanks to Lily of the Valley for her great post on gift ideas. I greatly appreciate and welcome any suggestions or links to other gift ideas you may want to leave in the comments below! Our first day of full homeschooling was characterized by the typical back-and-forth between the good moments and the not-so-good ones. Overall, I would definitely call this a good day. Lots of nice moments to make up for the inevitable messes and "catastrophes".